Ed Sheeran was named Top Artist at the Billboard Music Awards ceremony in Las Vegas Sunday. He also collected the prizes for Top Male Artist, Top Hot 100 Artist, Top Song Sales Artist, Top Radio Songs Artist and Top Radio Song for "Shape of You." 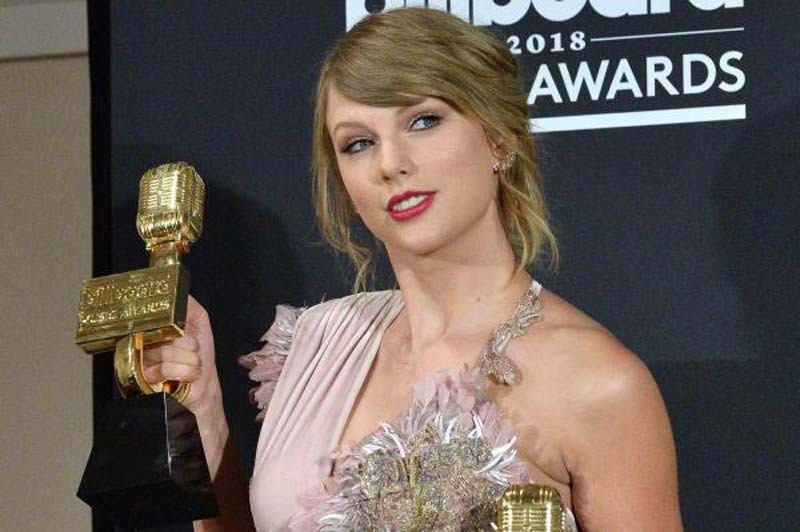 Taylor Swift was deemed Top Female Artist and her record Reputation won for Top Selling Album. Kendrick Lamar earned the accolades for Top Streaming Songs Artist, Top Rap Artist, Top Male Rap Artist, Top Streaming (Audio) for "Humble." and Top Rap Album for DAMN. Imagine Dragons picked up the trophies for Top Duo/Group, Top Rock Artist, Top Rock Album for Evolve and Top Rock Song for "Believer." "Despacito" by Luis Fonsi & Daddy Yankee featuring Justin Bieber was declared Top Hot 100 Song, Top Latin Song, Top Streaming Song (Video) and Top Selling Song. The awards for Top R&B Artist, Top R&B Male Artist and Top R&B Tour went to Bruno Mars. His 24K Magic also won for Top R&B Album and "That's What I Like" earned the Top R&B Song title. BTS was named Top Social Artist, Camila Cabello won the Billboard Chart Achievement Award, Khalid earned the Top New Artist trophy, Janet Jackson took home the Icon Award and Drake scored the Billboard 200 Artist statuette. U2 was recognized as Top Touring Artist and Top Rock Tour. The Billboard Music Awards gala celebrates artists across all genres of music. It aired on NBC with Kelly Clarkson acting as emcee. Clarkson and Ariana Grande were early performers at the event. Others who took the stage later in the evening included Camila Cabello, Shawn Mendes, Dua Lipa and South Korean boy band BTS. Among the awards presenters were Nick Jonas, Ciara, Hailey Baldwin,Tyra Banks, Alison Brie, The Chainsmokers, Andy Cohen, Simon Cowell, Darren Criss, Halsey, T.I., Justin Hartley, Chrissy Metz, Mustard, Chloe Kim, Mila Kunis, Padma Lakshmi, Des Linden, Julia Michaels, French Montana, Ne-Yo, Derek Hough, Jenna Dewan, Evan Ross, Ashlee Simpson and Grace VanderWaal.